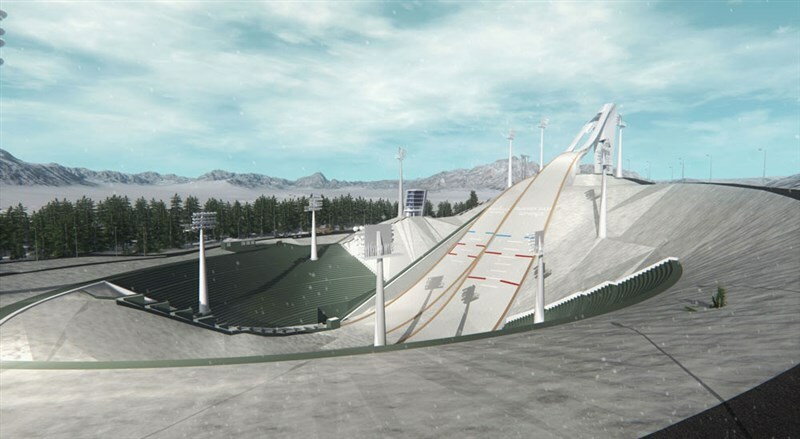 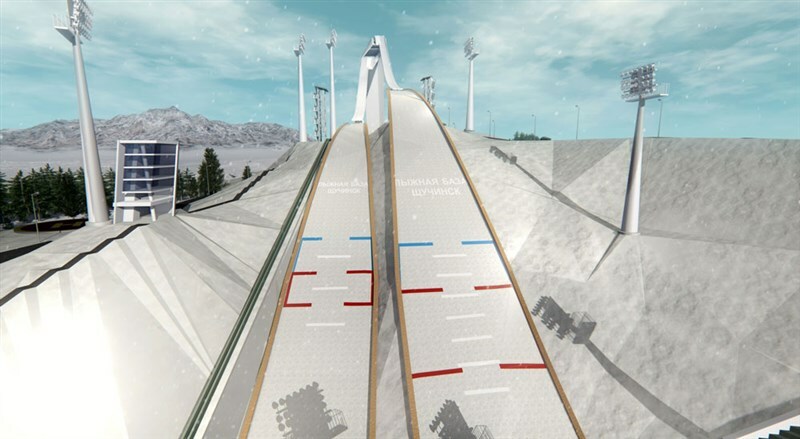 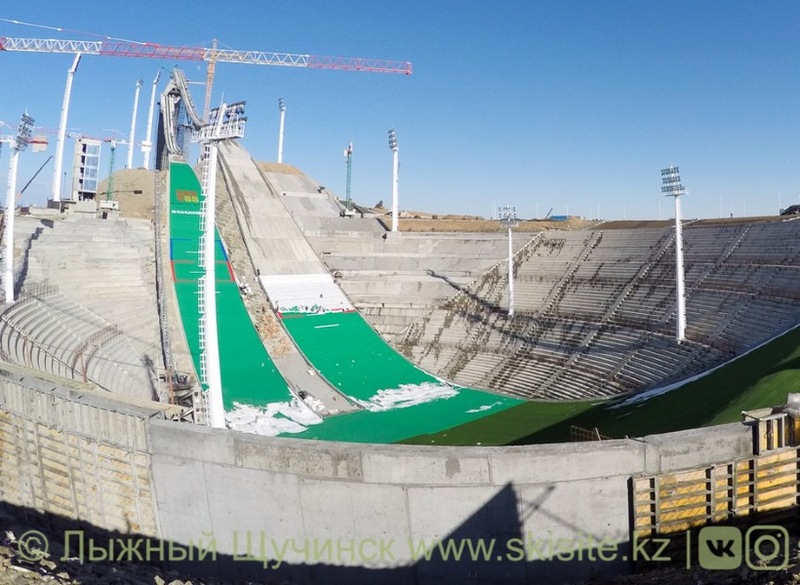 Already in 2006 the first plans for the construction of a ski jumping complex suitable for international competitions were made at Burabay lakes area near Shchuchinsk, 250 km north of Astana. 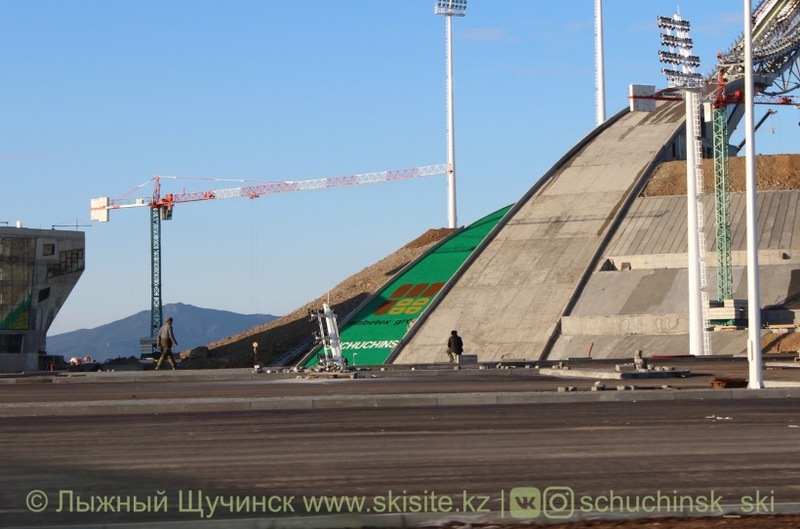 Shchuchinsk-Burabay is a popular destination for summer tourism and its attractivity as winter sports ressort with biathlon facilities and new hotels shall also be increased. 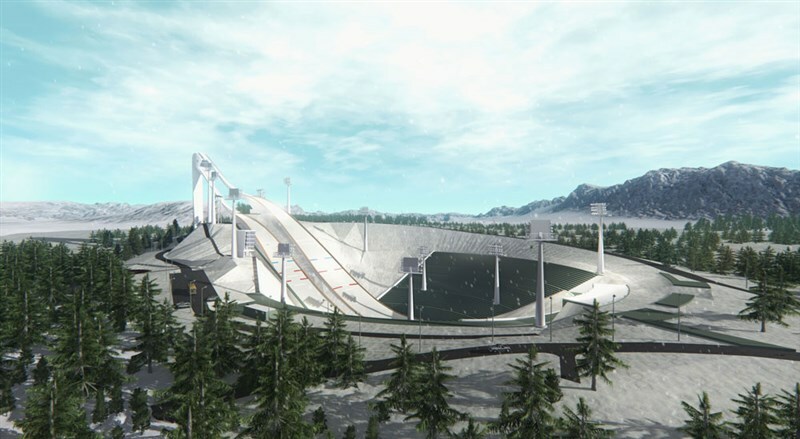 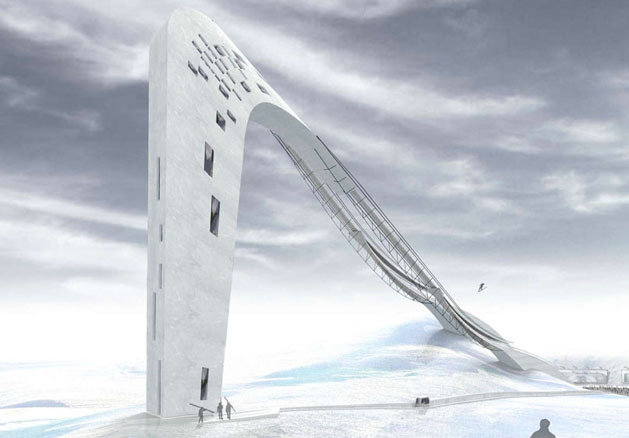 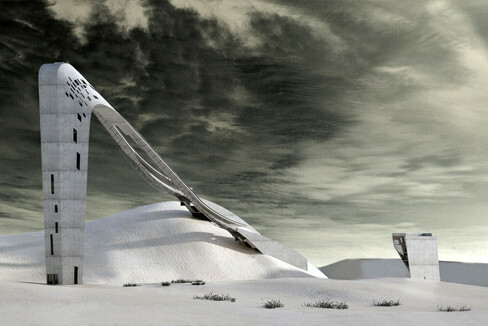 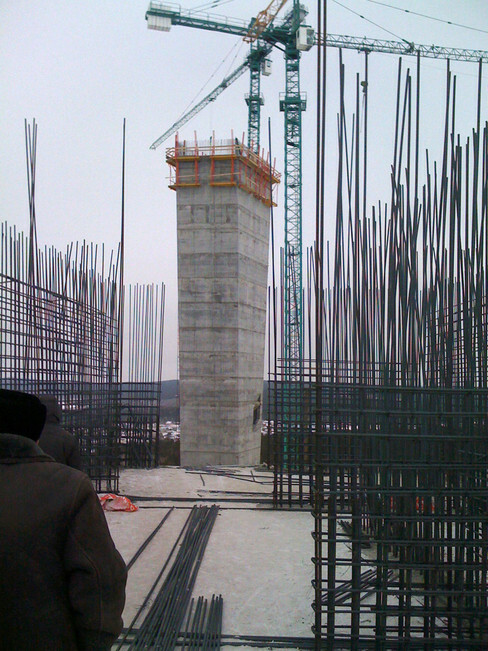 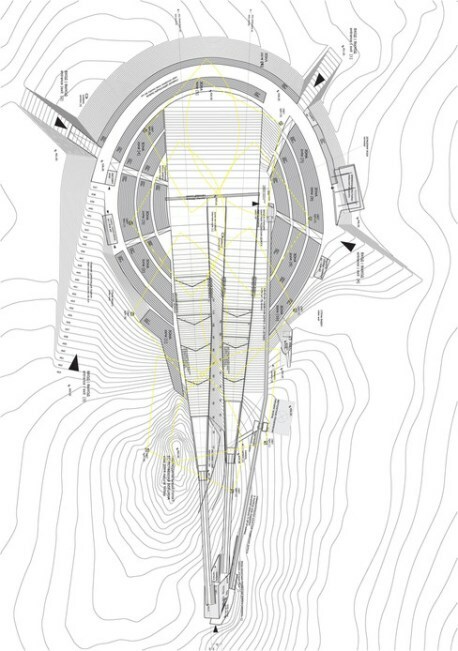 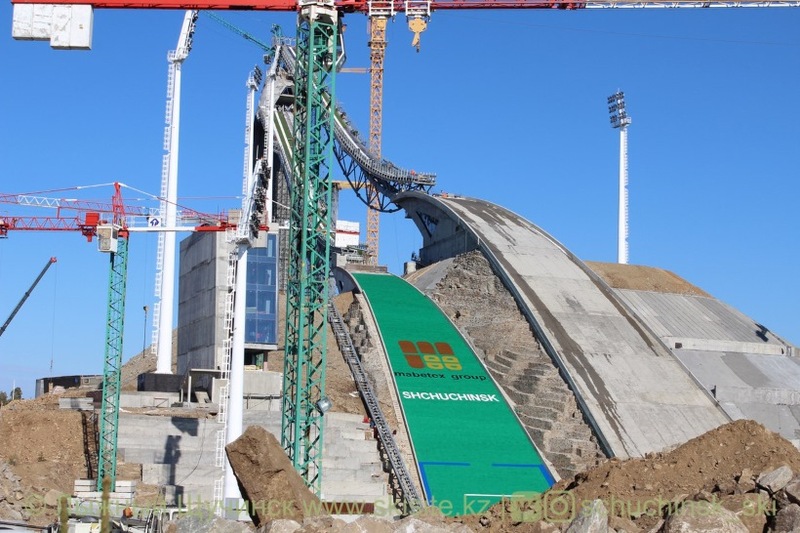 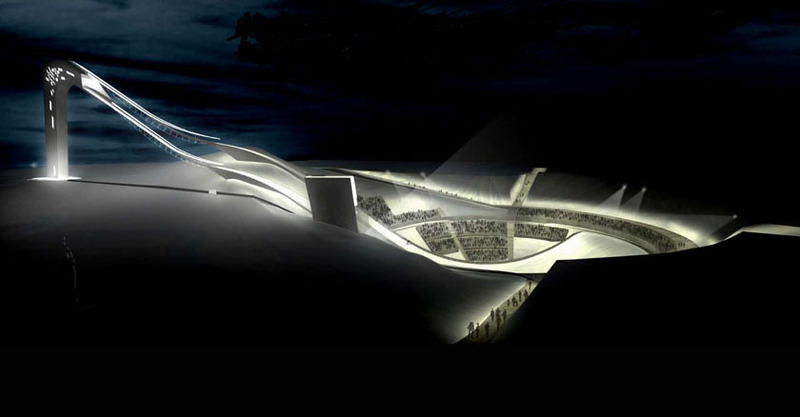 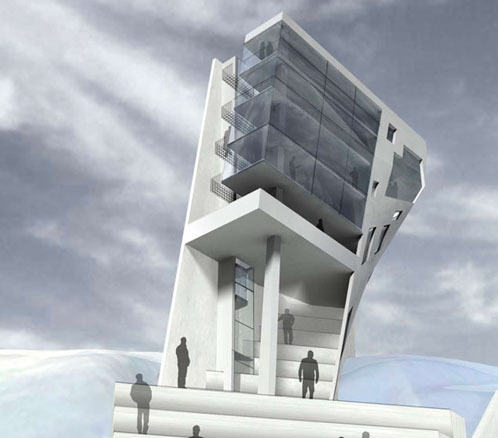 Realization of the ski jumping hill project with its unique architecture was started already in 2009. 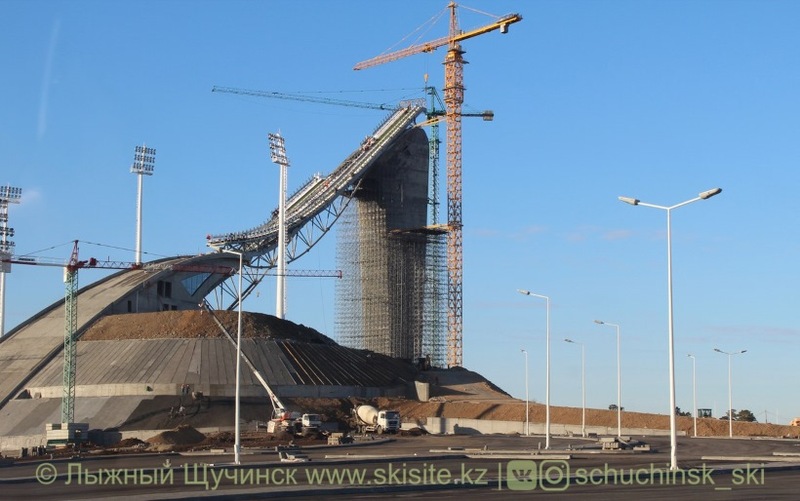 After many delays and alleged total construction costs of over 100 million US-Dollars, the K125 large and K90 normal were finally completed and opened on July 11th 2018 by the Kazach prime minister. 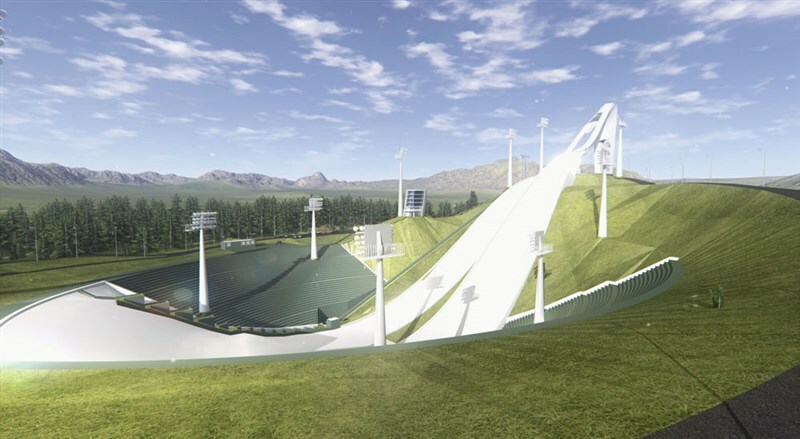 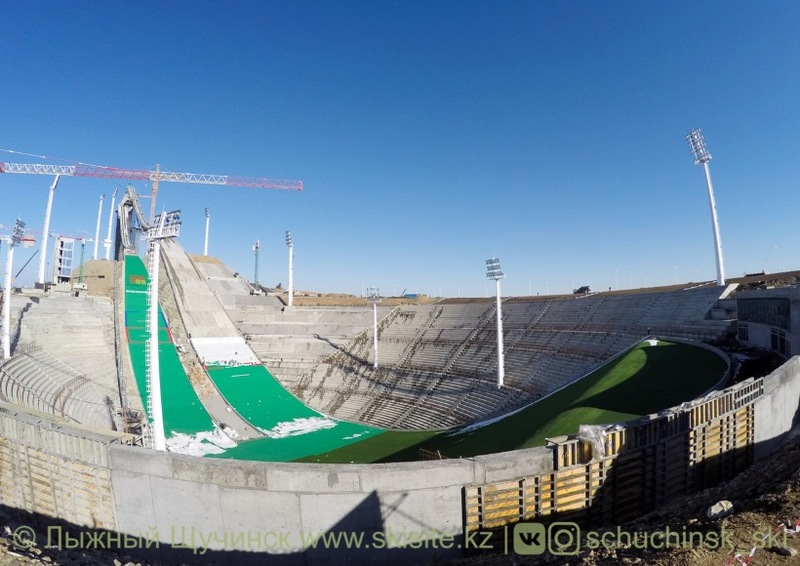 The construction of a complex of 4 smaller ski jumps with plastic mattings for training (K65, K40, K20, K10) is also planned on the other side of the hill where K90 and K125 ski jumps were built. 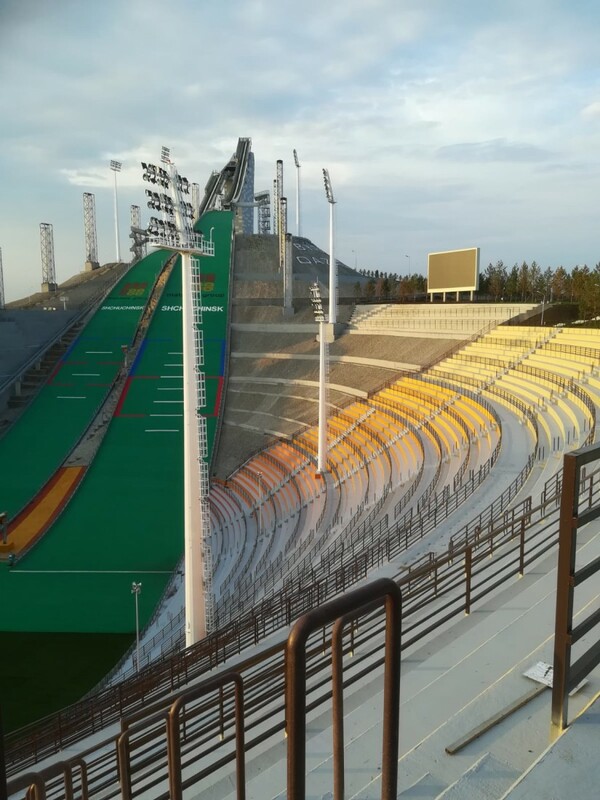 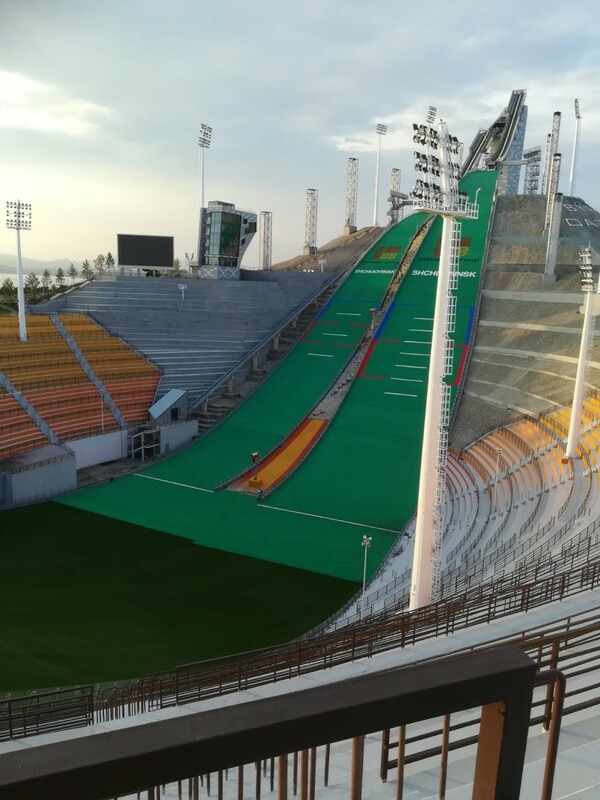 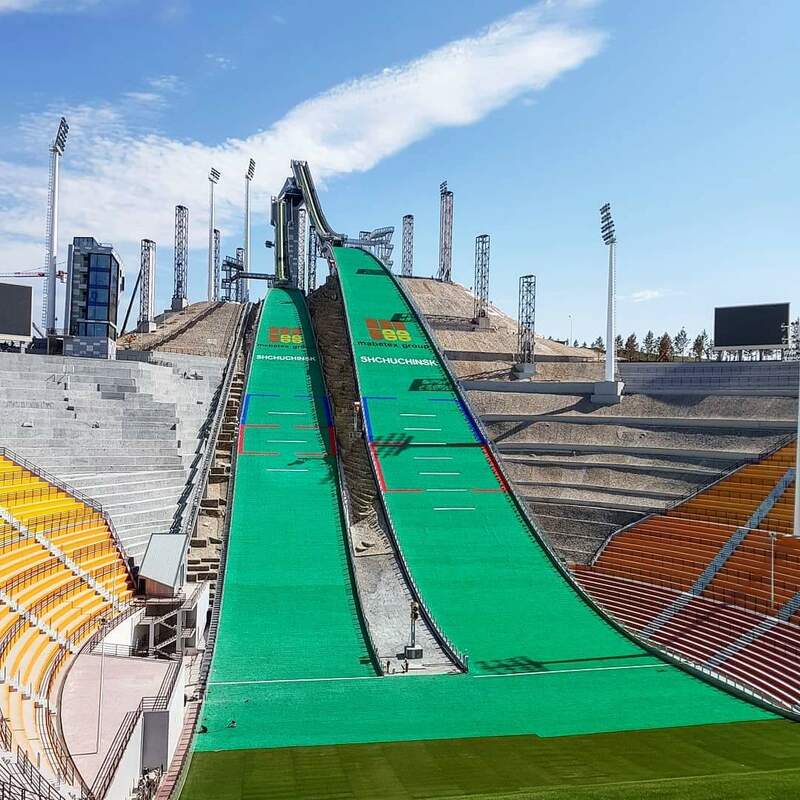 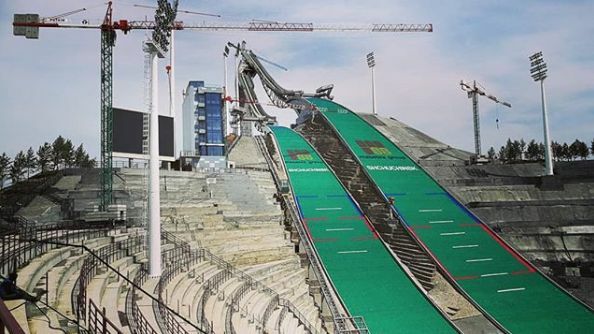 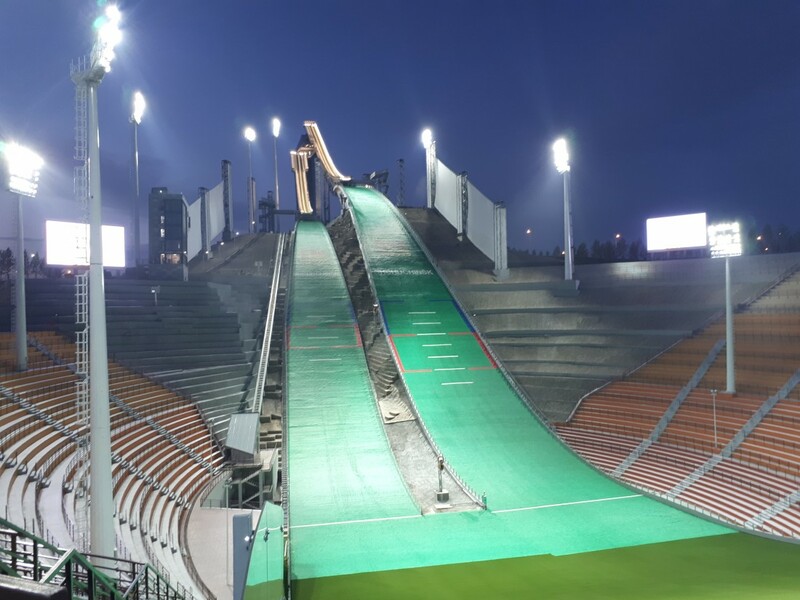 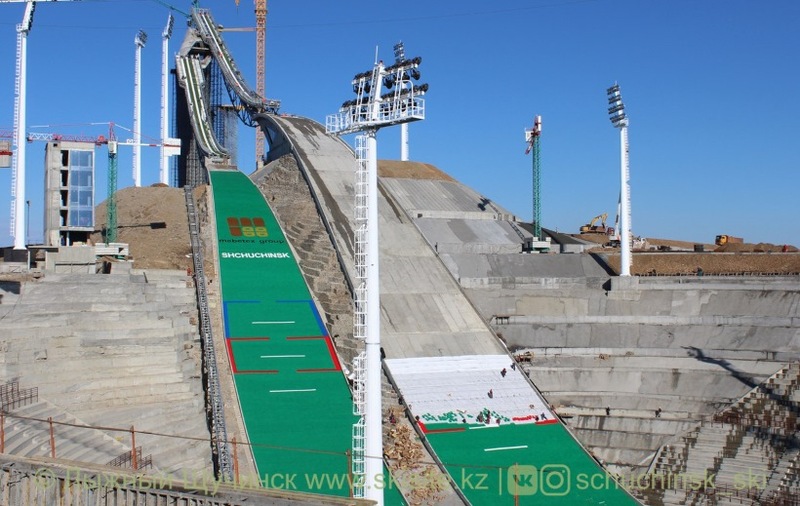 It has been one of the most ambitious and intense projects in the history of ski jumping, but after nine years of building it finally was there: The brand new ski jumping hill complex in Shuchinsk was inaugurated by the Kazakh president Nursultan Nazarbayev himself. 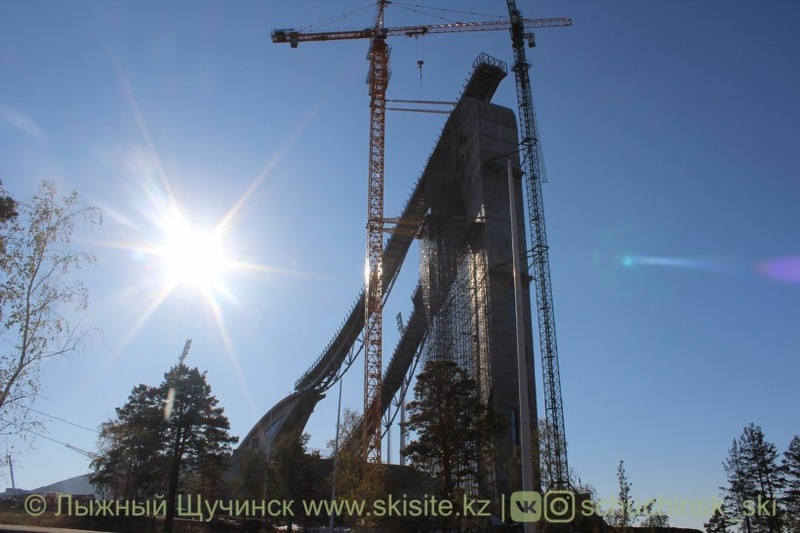 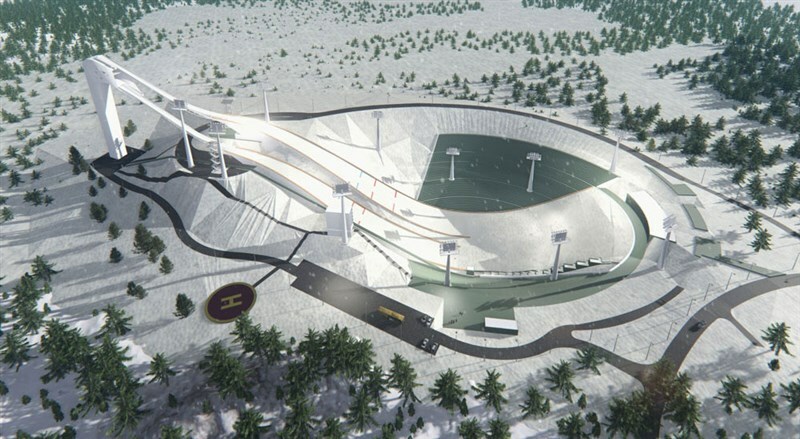 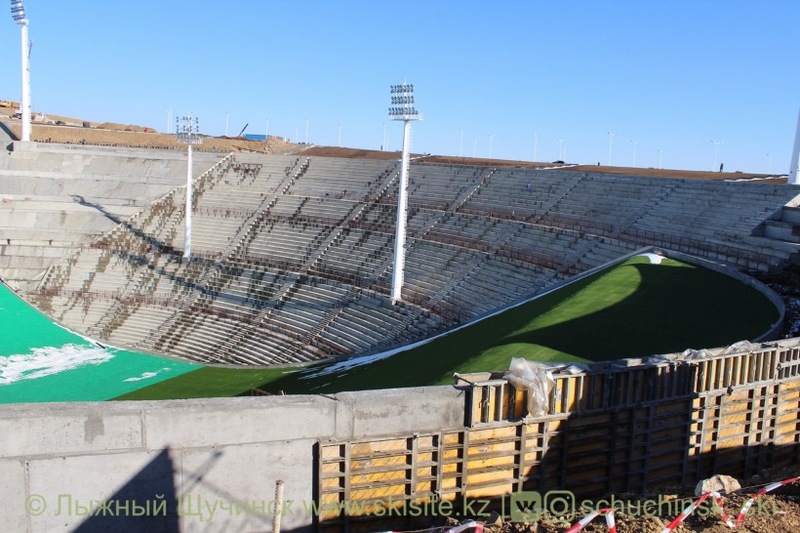 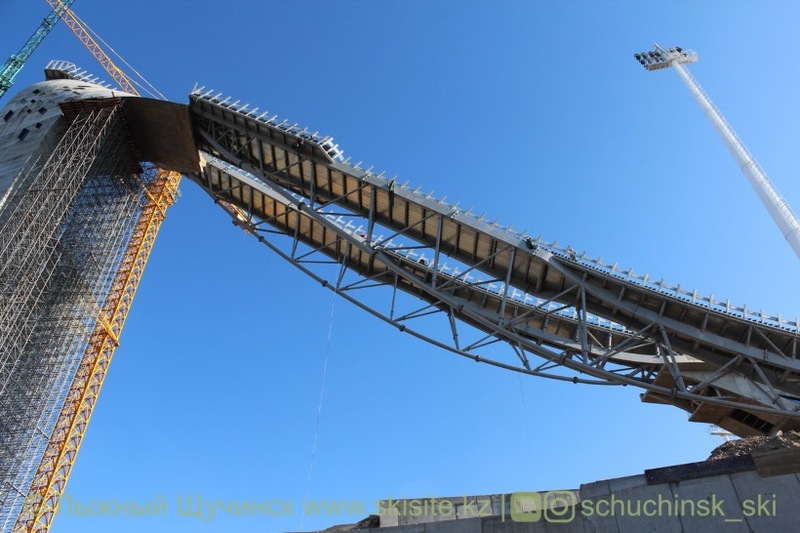 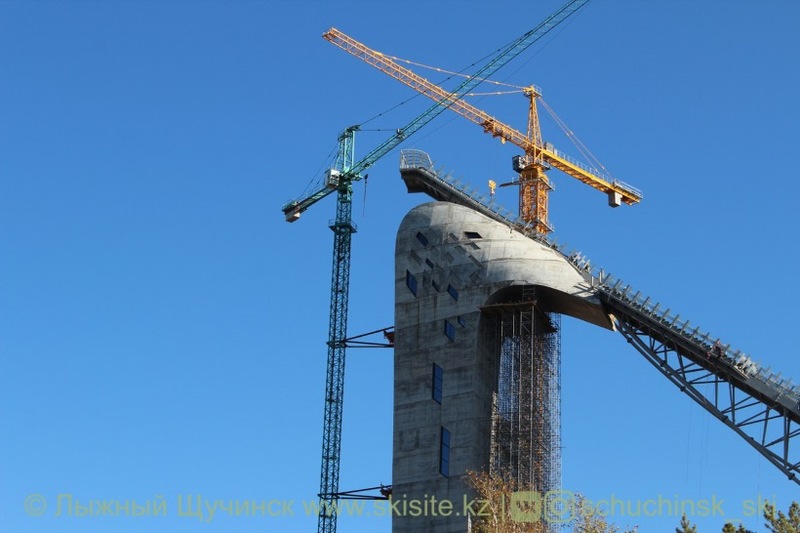 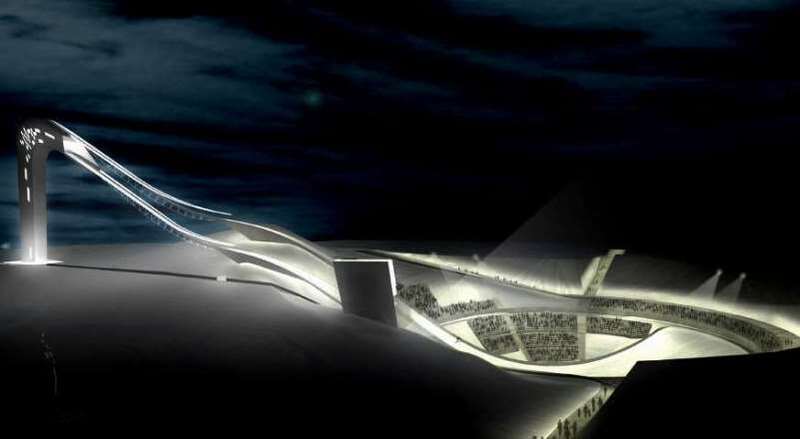 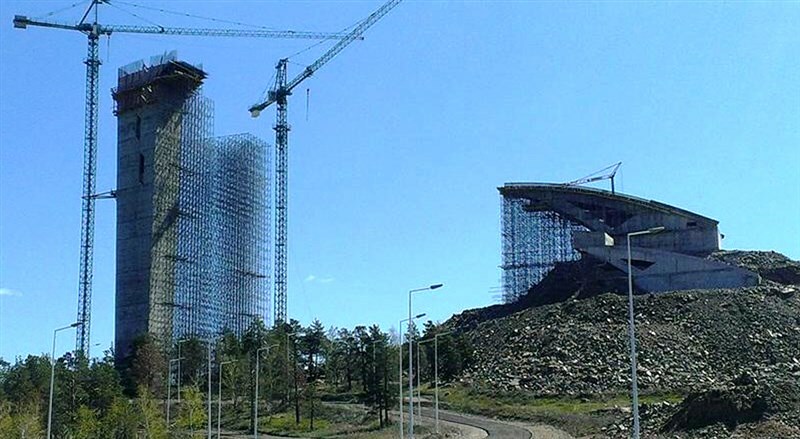 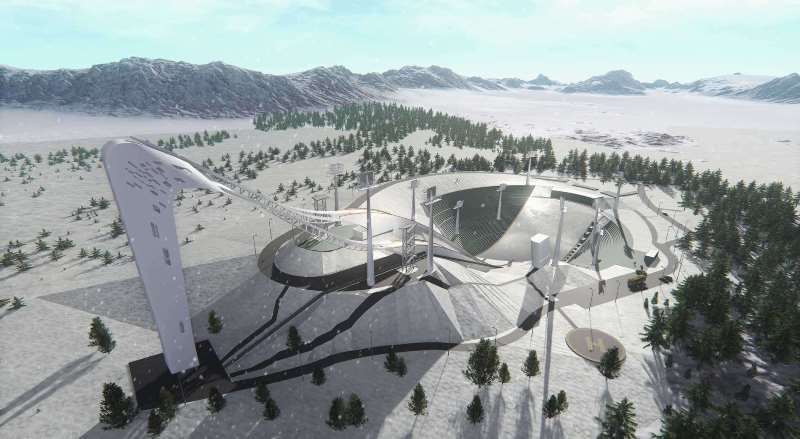 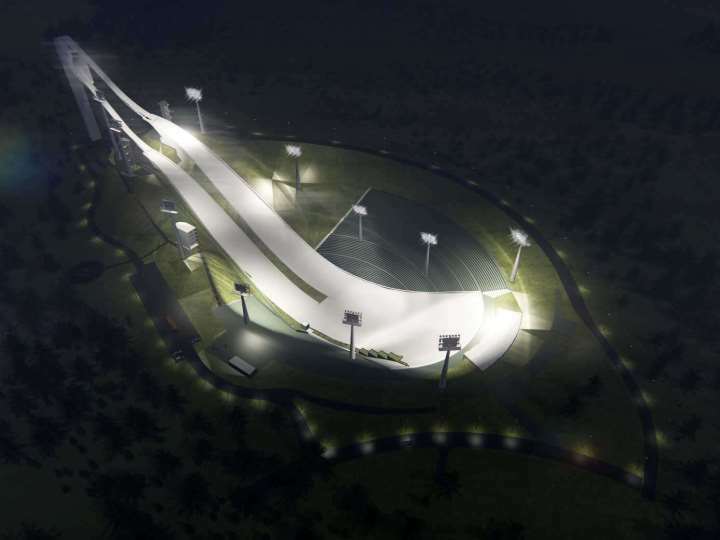 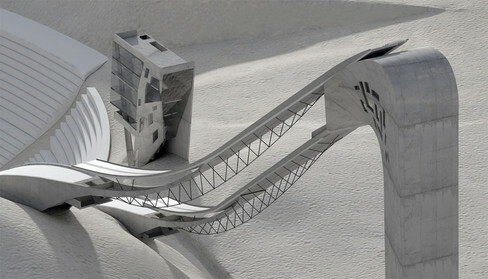 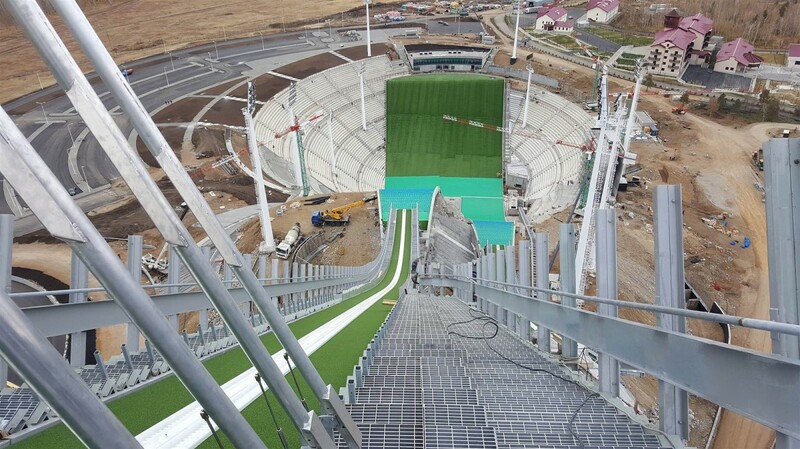 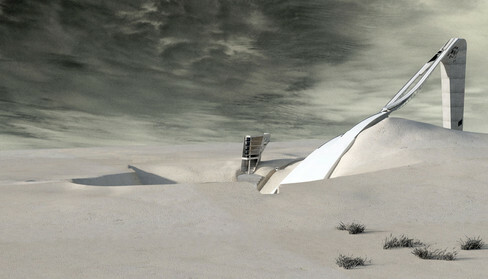 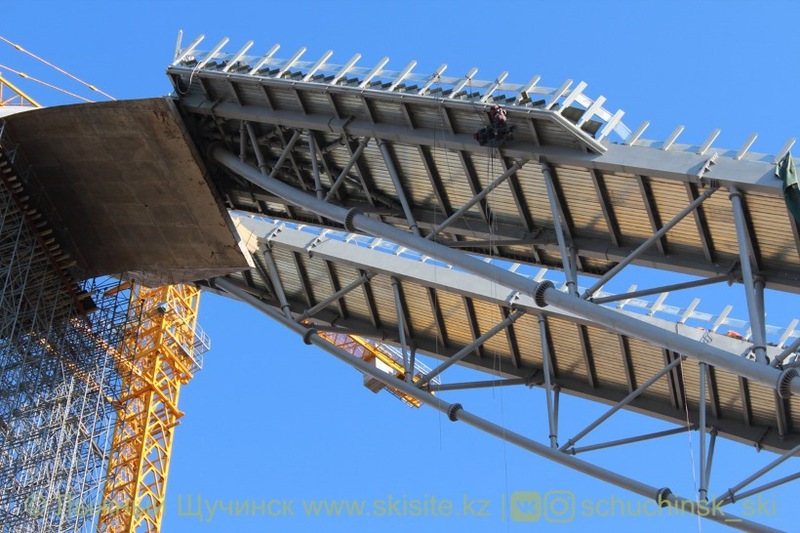 Skijumpinghill.com knows about all the details of this high-modern mega complex in Kazakhstan. 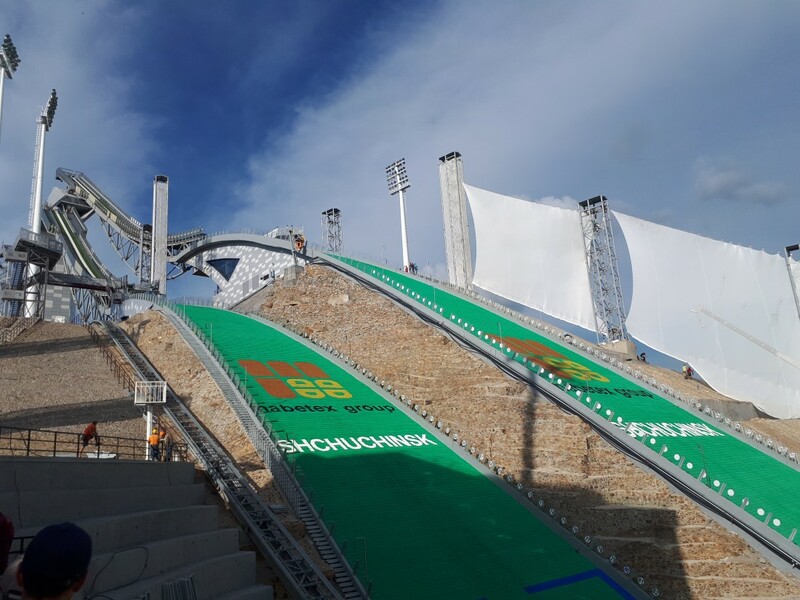 At Borovoye works on a new ski jumping hill complex with K125 and K90 are running. 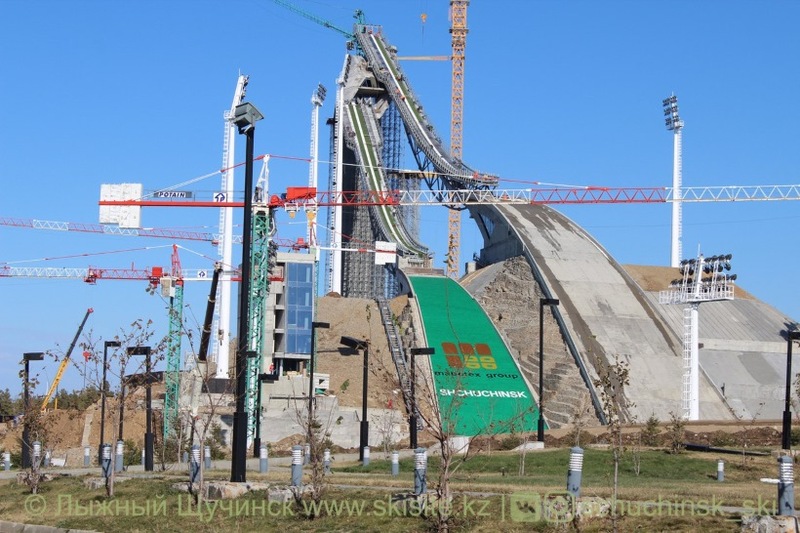 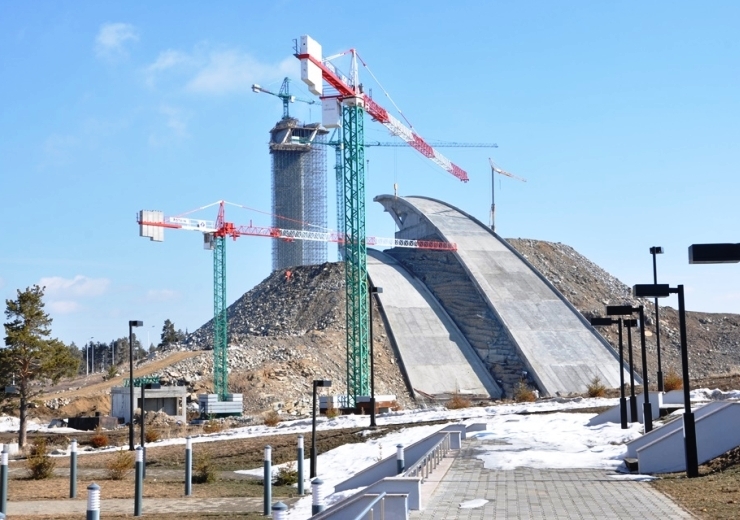 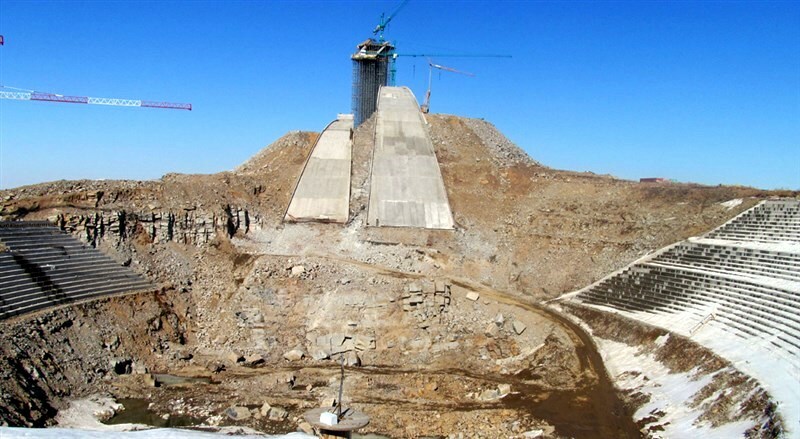 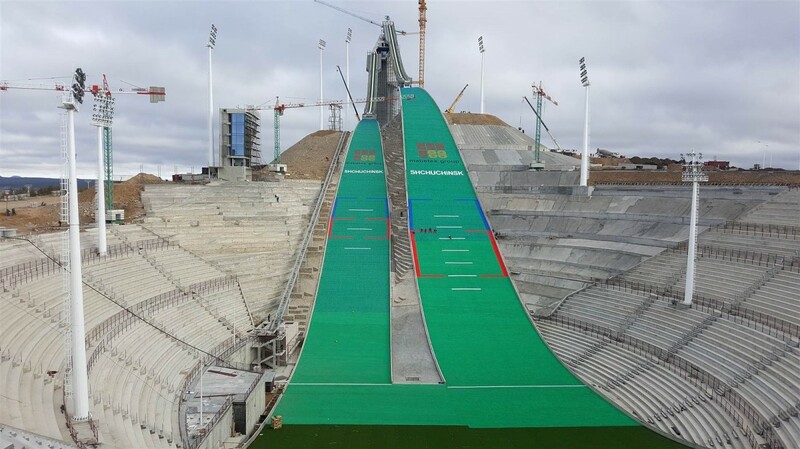 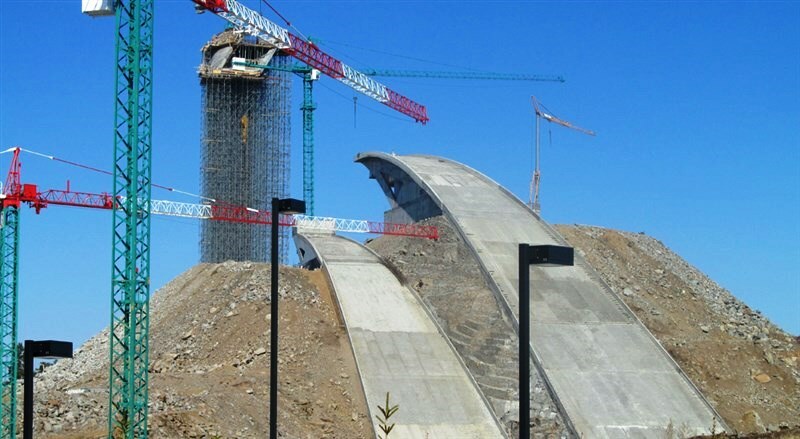 The ski jumps in the north of the capital Astana shall be completed by end of 2014.